Detour – James Siegel – A couple travels to Colombia to adopt a baby, trouble ensues. Good thriller with many twists and unexpected outcomes an easy suspenseful read. Midwives – Chris Bohjalian – A medical thriller becomes a legal thriller in this story. Did she kill the mother to save the baby? What do you think? Some say it is Bohjalian’s best book. Small Great Things – Jodi Picoult – This is not Picoult’s best book but I may be prejudice, in fact we all may be prejudice and not realize it. 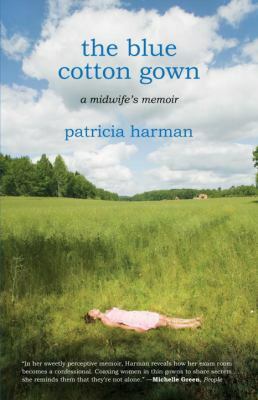 The story is about a labor and delivery nurse and is a must read for book discussion groups. It will make you think! The Last Midwife – Sandra Dallas – Set in a mining town in Colorado in 1880 where Doctors and justice are both hard to come by it is an interesting story of small town life. The Midwife’s Confession – Diane Chamberlain – Three friends since college days think they know each other well but events prove otherwise. Well written and full of secrets makes for a great read. 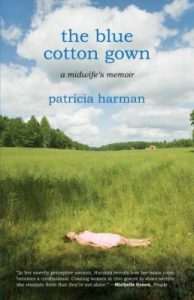 The Blue Cotton Gown – Patricia Harman – A Midwife’s memoir reads like a short story collection. It is so good that I’ve read it twice and it really has some insight into our current national medical situation. It is my personal favorite of the books I read this month. Stop by the Lewistown Public Library and pick up books fraught with meaning and significance.